At Facebook’s annual stockholder meeting back in June, CEO Mark Zuckerberg discussed The Social Network’s monetization strategy for WhatsApp, the messaging service it acquired for $22 billion back in 2014. But today, WhatsApp has made the first steps towards opening up their platform to more business activity – while at the same time, diluting their previously held security stance and enabling more information flow between WhatsApp and Facebook. Most notably, the changes include providing WhatsApp user data to Facebook, including phone numbers and information on devices and operating systems being used. This is big for Facebook’s databanks – in order to verify a WhatsApp account, users have to supply their phone number, a step which is not required on Facebook. By matching the two data sets, Facebook will gain a whole heap of new information on WhatsApp’s billion users, which it can then cross-match and correlate and use for ad targeting. So if you’ve provided your mobile number to a company, which they have on file, and you’ve used that same mobile number to sign up for WhatsApp, this now provides Facebook with a new avenue to help advertisers reach you with ad content. You can already see how this could be used to fuel Facebook’s Custom Audience option. For WhatsApp, the change will enable them to open up the platform to more commercial opportunities. This sounds very similar to the way Facebook is bringing more business to Messenger, facilitating direct connection between brands and their customers. And while Messenger is seen by many to be the next big platform for eCommerce, if Facebook is able to open up WhatsApp in the same way, they’ll essentially double down on their opportunities for messenger transactions. 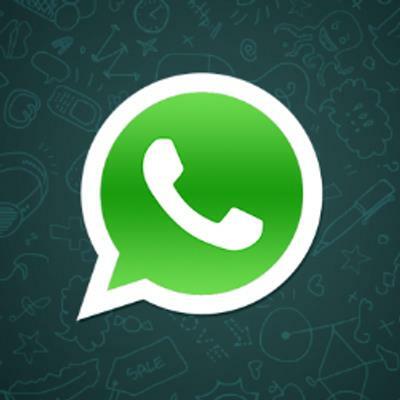 Both Messenger and WhatsApp now have more than a billion monthly active users, opening the gates to those WhatsApp users could prove an extremely valuable step for The Social Network. It’ll take time for WhatsApp users to come to grips with such a change, but as noted by TechCrunch, most users will agree to the new terms and conditions without actually reading them. There will be a way for WhatsApp users to opt out of the new data-sharing arrangements, but the opt-out is limited – the only absolute way to avoid any sharing of your WhatsApp data with Facebook is to stop using WhatsApp completely. In terms of Facebook data, the change will bring a whole new range of options for Facebook advertisers, with additional data to cross-reference and better match user locations, behaviors, interests and other information. Such insights will enhance Facebook’s already powerful ad targeting machine, which should bring new opportunities for marketers in the near future. But for WhatsApp users, and those who’ve long admired the platform’s user privacy stance, the announcement is not so positive. The logic of it makes sense – Facebook paid $22 billion for the service, they were always going to seek to boost its monetization potential at some stage. But as noted, there are additional related concerns with WhatsApp and how it’s used, particularly by people in areas of political turmoil. Despite appearances, social networks are not free. The price you pay is data, and WhatsApp has a heap of that resource to tap into.